At Clark & Mayfield, we adore travel. We know there's so much to discover in "our own backyard" that we may have never considered before. As we make trip plans for the year, consider these nine hidden travel gems in the U.S. Read on to find out why each destination should be on your radar in 2019. The Adirondack Mountains in New York form a distinct 160-mile wide dome of more than 100 peaks. Enjoy hiking, camping, kayaking, biking to wineries, and scenic drives. The park is free to enter and is only a day's drive from much of the Northeast. By Jon Sullivan, PD Photo. 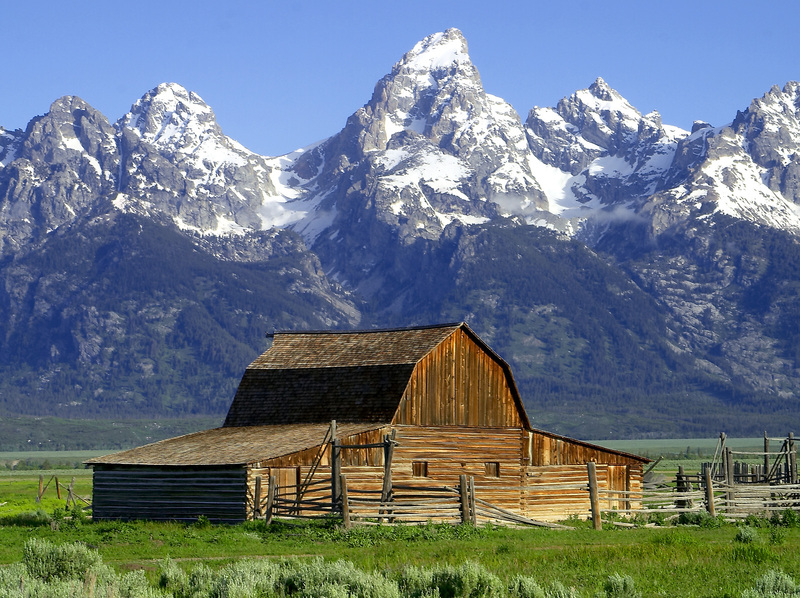 Jackson Hole is considered an outdoor playground with the dramatic peaks of the Teton Mountains as a backdrop. Enjoy ski resorts in the winter; hiking, swimming, and rafting in the summer; plus plenty of festivals and an Old West vibe in town. In 2019, Memphis celebrates its bicentennial anniversary. Culture, music, food, and urban revival will be even bigger and better this year. Walk the newly renovated River Line Trail, feast on BBQ, and catch a live show. Natchez, located on the Mississippi River, was the original capitol when Mississippi first became a state. The quaint town is a great place to explore historic buildings and a rich multi-cultural heritage. Once home to the likes of Wild Bill Hickok and Calamity Jane, Deadwood maintains its Wild West roots with historic re-enactments. You'll also find modern arts and entertainment, breweries, wineries, and trails in the nearby Black Hills National Forest. Mono Lake is one of California's most bizarre natural wonders. The salty "Dead Sea" is surrounded by the grand beauty of the rugged Sierra Nevada Mountains, and pocked with porous rock towers at its center. Take a swim, hike, and stay out to star gaze. The tree-lined, cobblestone city of Savannah was one of the U.S.'s original thirteen colonies. Enjoy architectural tours, music and food festivals, art exhibits and Civil War re-enactments in this charming town. 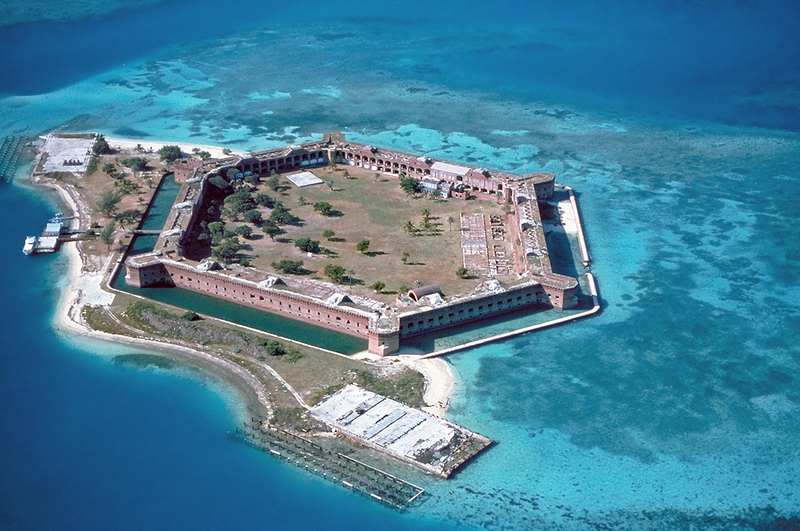 Located off the coast of Florida, Dry Tortugas National Park is only accessible by ferry, private boat, or seaplane. Explore the historic island fort and discover beautiful reefs by snorkeling or diving. A primitive campsite is available on Garden Key. True to Texas, Big Bend National Park is exceptionally large. It's ideal for hiking, birding, stargazing, and scenic drives through dessert landscapes and along the Rio Grande. ﻿Like this post? Pin it for later or share with friends! Have you been to any of these U.S. destinations yet? What are your travel plans for 2019?